Sourdough pancakes are a tradition in my family. They’re almost always on the menu when the kids and grandkids come over for Sunday breakfast, as they did this weekend. 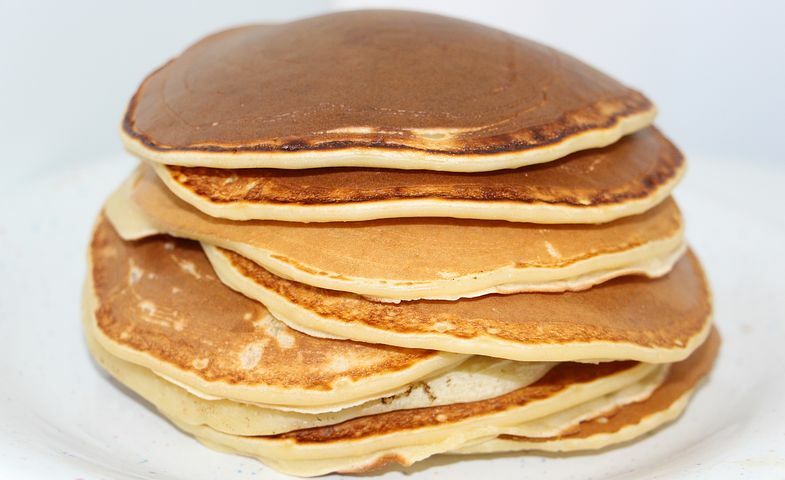 To make the pancakes, you mix the starter—flour, water, yeast, and sugar—the night before. You let it work and raise and bubble overnight, then in the morning add the rest of the ingredients and cook your pancakes. So on Saturday night, I set out to make starter for a triple batch. Remembering that the next day would be St. Patrick’s Day, I dumped in some green food coloring. Then it occurred to me that it might be fun to make shamrock-shaped pancakes, and I started considering the easiest ways to flip them. Maybe I was thinking too much about these things, because before I knew it I hadn’t just made starter, but had mixed in all the ingredients for finished pancakes. Drat. Oh, well; if I let it set overnight it should still be okay. Just to be sure, I dumped in an extra tablespoon or three of yeast. Then I left the big stainless steel bowl of batter on the counter to work its magic.